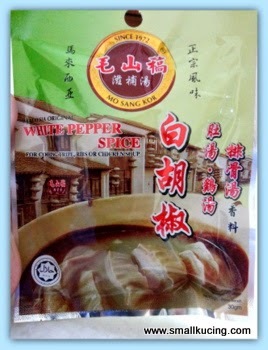 Quite some time ago, Auntie YL gave Mamarazzi two packets of Mo Sang Kor White Pepper Soup. There! 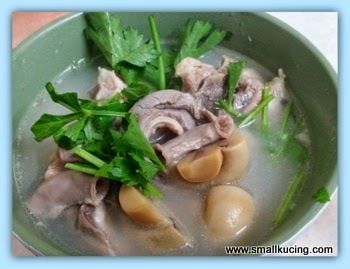 White Pepper Pork Tripe Soup. I think she should add a tomato and a bit of preserved vegetable(Ham Choy) . Then the taste would be perfect liao. Agree? 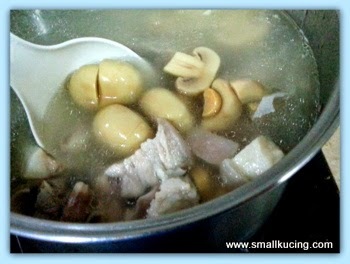 This is the singapore style bak kut teh! Wish I could taste it! Yummmmm!!!! I like!!! No liver? Eh I thought you dont like to eat spicy food? This pepper corn soup spicy or not? Or 'heng' (heaty) or not when you swallow the soup? Wah you can eat a big plate of rice wor.. Jealous la.. Kz picky eater, no eat rice like you, have to pujuk pujuk pujuk and he only eats 2 mouth of rice.. haiz...kek sei ngor lor.. The young 'taste tester' may end up being a great CHEF someday --since he has so many good ideas for your dinners.... I agree that a tomato might help the taste... YUM. Something like ham choy tong if add in salted vegetables and tomatoes? But I LIKE!!! wah, it's Mamarazzi's cooking time!! hehehe, but this time round maybe the recipe is simple and the method is convenient, so Mamarazzi no need to improvise and create her own, haha!! but one thing Uncle SK like is, Mamarazzi checked the content of the soup package and decided not to add more MSG!! this is very smart of Mamarazzi, thumbs up for her!! 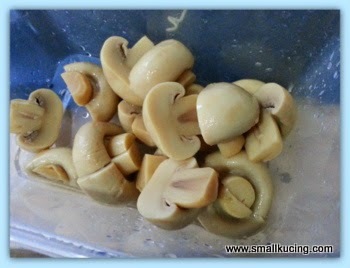 she is indeed not sotong all the time lah, muahaha!! Its nice by itself but I think a bit salted veg will elevate it further. No, no tomatoes and ham choy in white pepper soup. 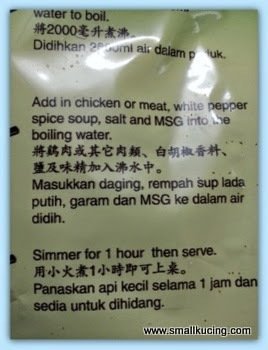 That is Penang style, no good, don't learn the wrong things! Muhahaha.....house very hot la...so pakai sarong only lo. I'm impressed! I heard it's very tedious to clean pig tripes. Looks good, I can have a big bowl of rice with that!! Small kucing can tahan the peppery taste? Why does he look so glum in the photo? I also like salted vegies and tomatoes in my soup to boost my appetite. 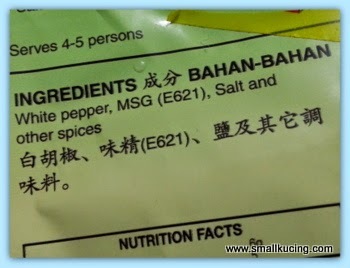 Hmm main ingredients are pepper, MSG and salt. Errr. Maybe put in meat and real ingredients, then whack in salt and lots of pepper will already do the trick. That soup looks like something I would really like. Wanna Eat Milo Oreo Jelly in a Pot? Chin Swee Caves Temple, Genting Highland. Kuan Wellness Ecopark, Tanjung Sepat.